Gone are the days when i paid £3 per b+w photo in the mid 80's .... and then put a few back as i couldnt afford £15 on original JD photos at the time ! Funny that the seller doesn't know the name of the photographer of the London 1980 pic. I say funny, or should I rather say dubious? Hurrah's New York 26 September 1980 (i.e. New Order). Well, as you can see, Steven has a mic stuffed in his face. That probably means that it dates from the early New Order phase when Steven was taking care of the vocals. It's possibly from autumn 1980, that's my guess. Seller gca1957 sold a buzzcocks ticket from Leicester 26 3 79 on 7 9 15 for £19.99 . 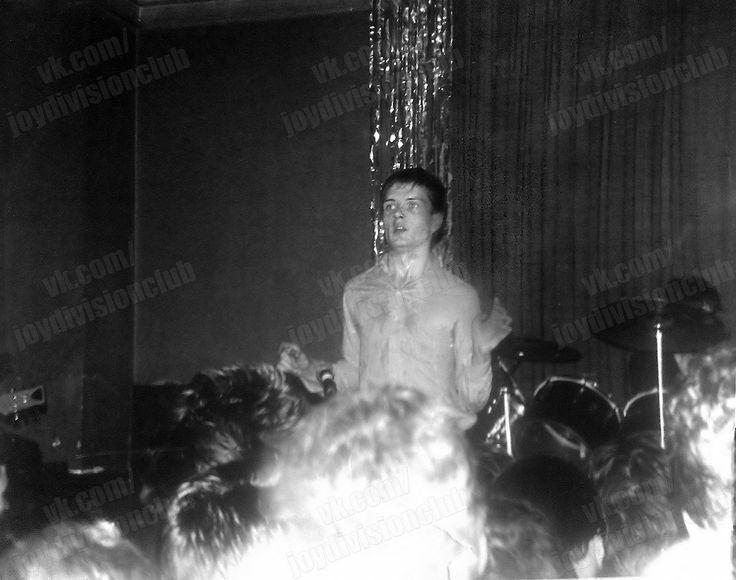 It included an unseen photo of Ian Curtis. For those of you with the skills can you put up a link. Is it new? I remember seeing these last year somewhere. This was in Newcastle in October 1979 (The tour with the Buzzcocks I suppose). Someone determined the location based on pictures from another band playing on that stage and the similarities in the background. And then there were more clues based on Hookies bass model, and maybe the haircuts too. A few of these pictures were posted on Pinterest by a Simon Thomas. Nashville Rooms 13 August 1979...Hooky's August haircut as seen at the YMCA rather than his September haircut as seen on 'Something Else' (so not 22 September 1979).